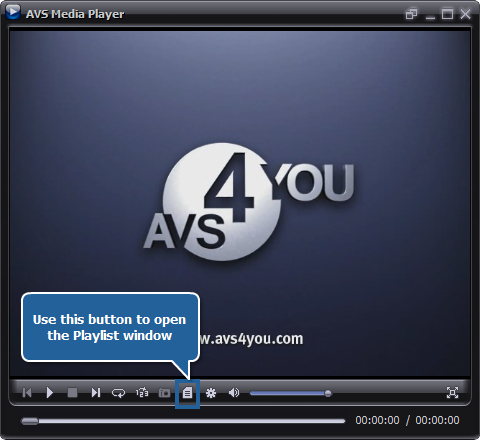 How to playback video files using AVS Media Player? Video files: Audio Video Interleaved Files (*.avi), MPEG Video Files (*.mpg; *.mpeg; *.mpe; *.mp4; etc. ), Windows Media Video (*.wmv; *.asf; *.asx), Video CD (*.dat), QuickTime Movie (*.mov; *.qt), Mobile Video (*.3gp; *.3gpp; *.3g2; *.3gp2), DV Files (*.dv), Microsoft Digital Video Recorder (*.ms-dvr; *.dvr-ms), Google Video Files (*.gvi), OGG Video Files (*.ogm), Matroska Video Files (*.mkv), Flash Video (*.flv). Audio files: WAV Files (GSM, ADPCM, DSP and others), MP3 (MPEG-1/2 Layer 3, including VBR), MP2 (MPEG-1/2 Layer 2), M4A Files, WMA (Windows Media Audio 9), Ogg Vorbis (ver 1.0), AAC Files, MPC (MusicPack), AIFF (Apple), AU (UNIX). See a full list of Supported Formats here. 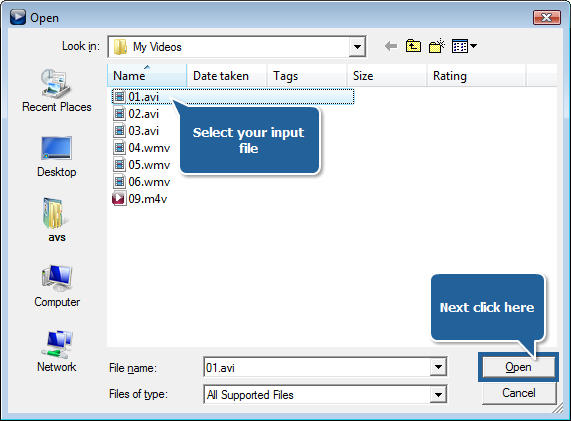 Read step-by-step instructions below on how to playback your home video files collection on your personal computer using AVS Media Player. Click here to download it. After the download is finished, run the AVSMediaPlayer.exe file and follow the installation wizard instructions. After the video file opens you can start watching it right away. 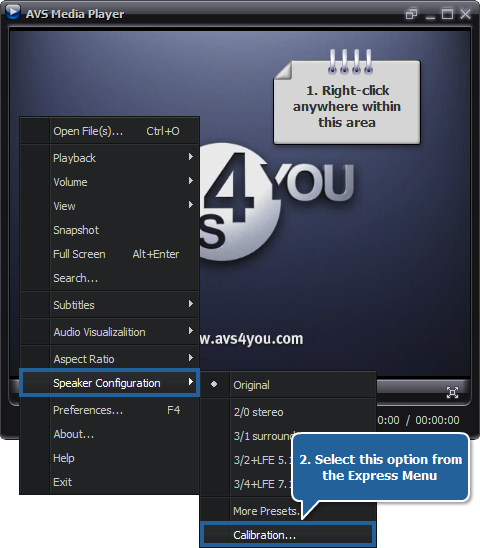 But if you plan to watch several files, it is better create a list of the files for the playback so that you will not need to open them one by one - AVS Media Player will do it for you. 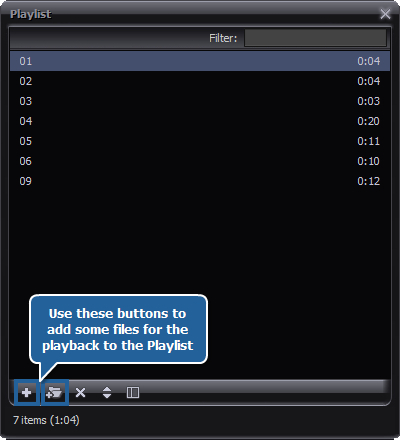 When the files are added, use the player controls to playback them. To change the position of the spectator within the room, simply drag the image of the person with the mouse cursor within the room representation. 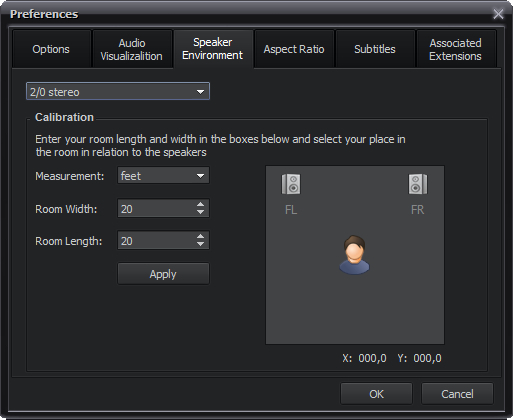 Note, that you can also change the number of the speakers used and their configuration in the upper part of the window, set the proper room width and length. To accept the changes click the Apply button. As you can see, watching a home video can be as easy as that and just comfortable as well.